The Bluth Frozen Banana stand*, long time fixture of the Bluth Company, will be at Yankee Stadium today from 3:30 – 8PM. Stop by before the game for a photo and a frozen banana. In conjunction with the banana stand, the Yankees are running a half price ticket offer for tonight’s matchup against the Mariners (May 15). 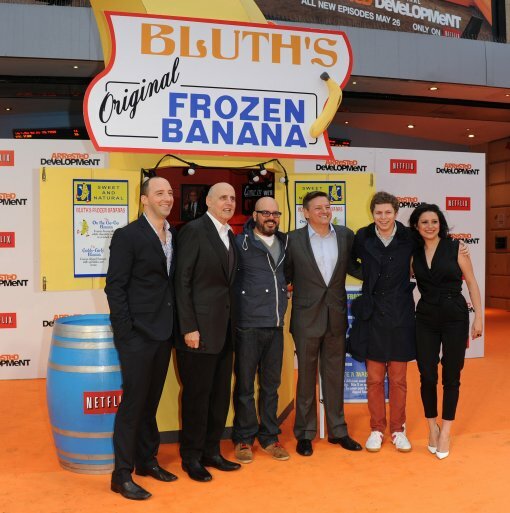 The banana stand, is of course, an ingenious promotion for the highly anticipated premiere of Season 4 of Arrested Development on May 26 on Netflix. Watch the trailer for Season 4 of @arresteddev after the jump.